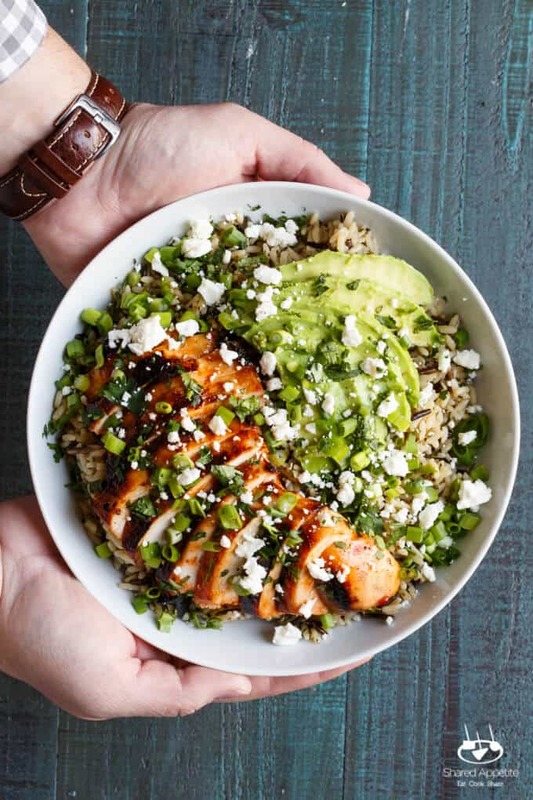 This Grilled Honey Sriracha Chicken Bowl is brought to you by Uncle Ben’s®. As always, all opinions and recipe are my own. Thanks for supporting the brands that support Shared Appetite! Let’s be real. Eating healthy can really stink. 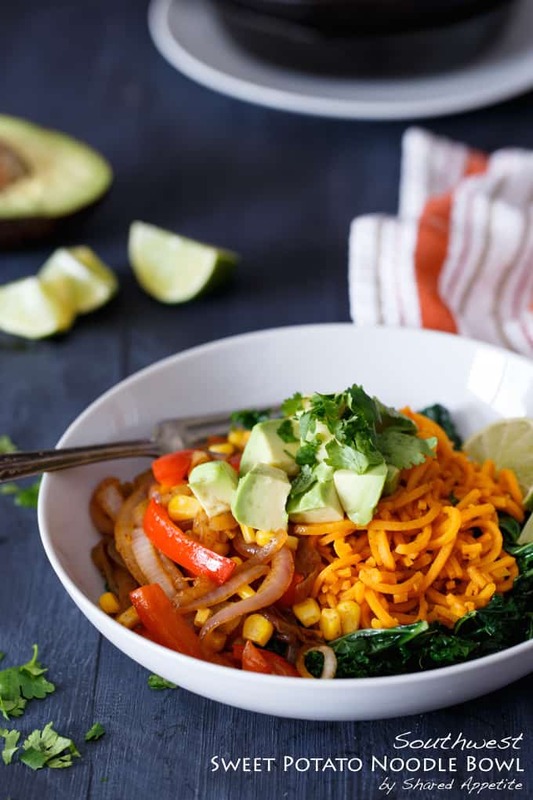 Especially because, well, healthy food can be really bland and boring… but let me tell you the secret that’s carried me through the last several weeks of getting back on the eating right track. Big, bold flavors. Yup, that’s it. Every time my eating healthy habits has failed in the past (and I’ve been carrying around a bit of pudge my entire life… so I have had my share of eating healthy attempts), it’s because I got bored. There’s only so many times you can eat raw carrot sticks and a house salad. Yawn. 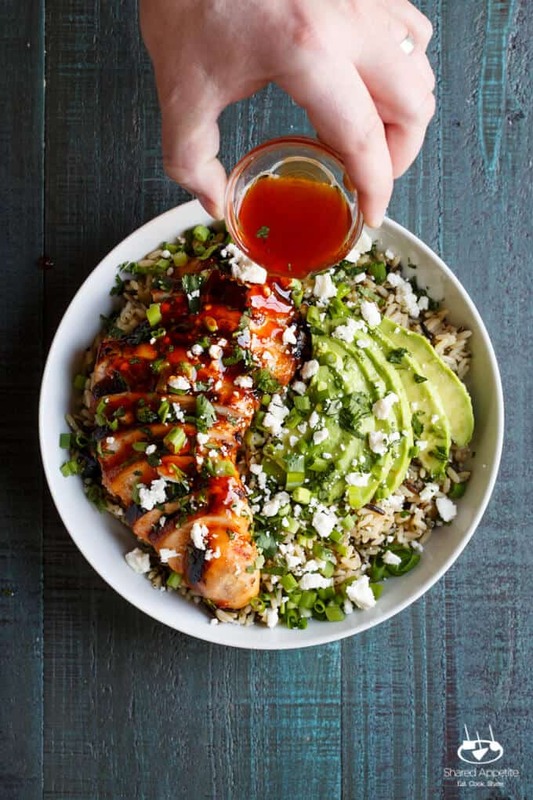 But this Grilled Honey Sriracha Chicken Rice Bowl with Avocado. Holy yum. 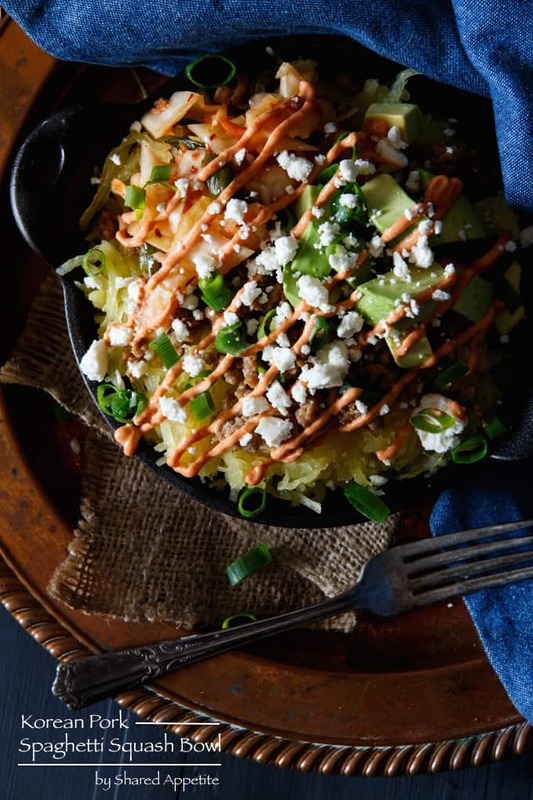 It’s ridiculously over the top flavorful in the best way possible. The chicken is just the right amount of sweet and spicy. The avocado is creamy. And my belly is all sorts of happy. 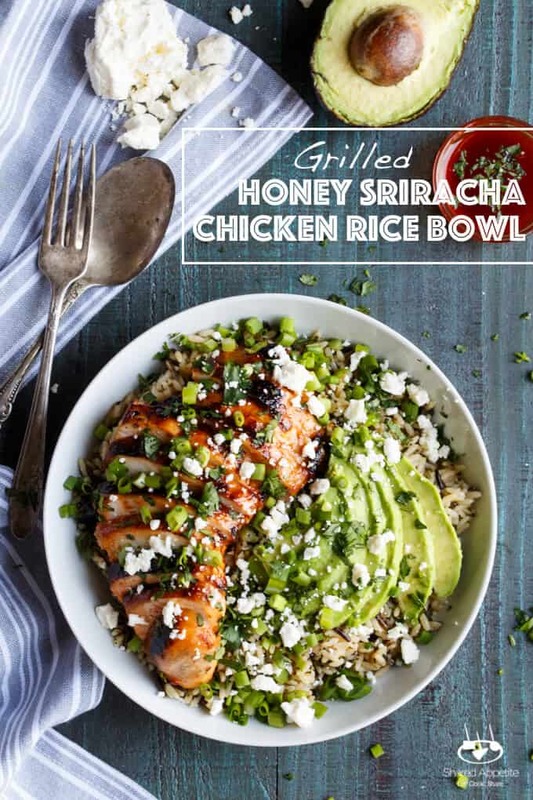 You know what else is important with this Grilled Honey Sriracha Chicken Rice Bowl? 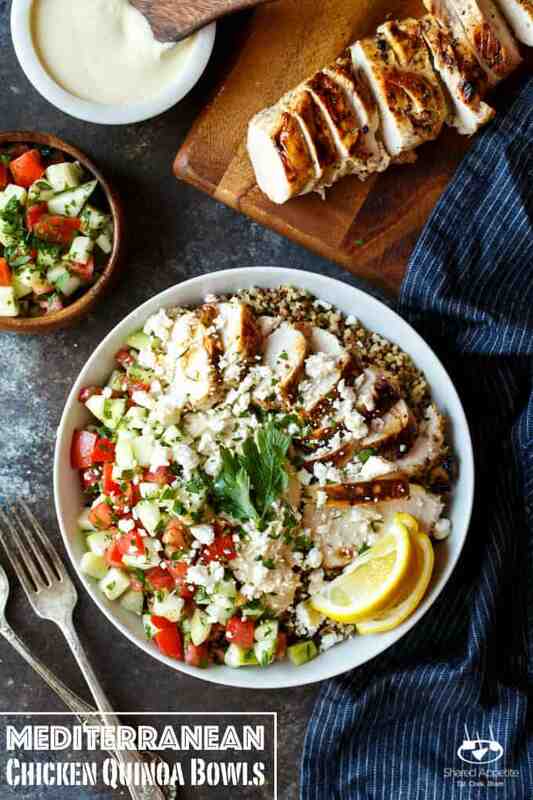 It’s so simple to whip together, and makes quick weeknight dinners a breeze. Side note: with an 18-month old running around non-stop throughout the day, quick weeknight dinners are a HUGE win in our book. The marinade is literally three ingredients. THREE INGREDIENTS. There’s no chopping involved. Just dump and pour into a ziploc bag, add in some chicken, and let it hang out in the fridge overnight. 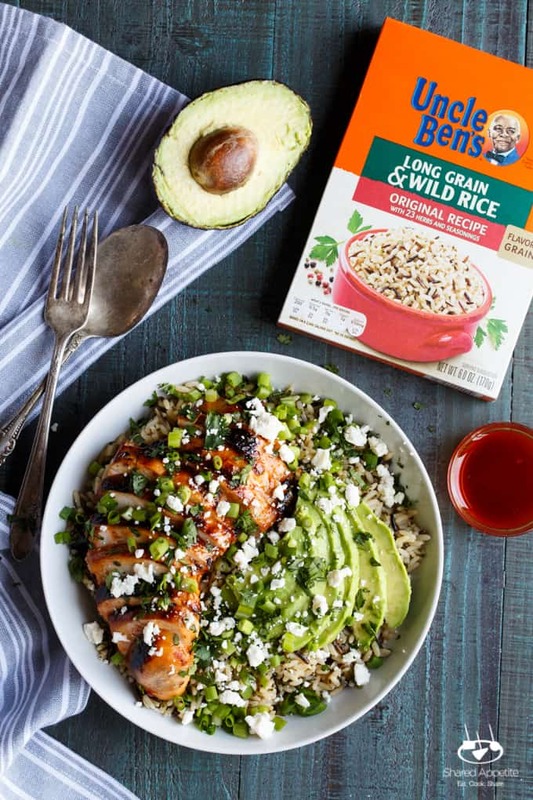 Get home from work the next day, get your grilling on, cook up some UNCLE BEN’S® Long Grain & Wild Rice Original Recipe, and slice yo’ avocado. And scallions and crumbled queso fresco, because… duh. They makes everything better. And just a note about queso fresco… if you have trouble finding it, feel free to substitute in some crumbled feta. I’ve done it before and it works like a charm. Man, anyone else out there absolutely love Target? C’mon, it’s pretty much the greatest store ever. Little secret. I’ll pretty much find any excuse to make a “Target run” necessary, just so I can go and browse. They have the cutest clothes for Olivia, amazing housewares (hello new serving dishes), and a really great grocery department. More and more, I’m finding myself accomplishing a lot of my grocery shopping at Target. 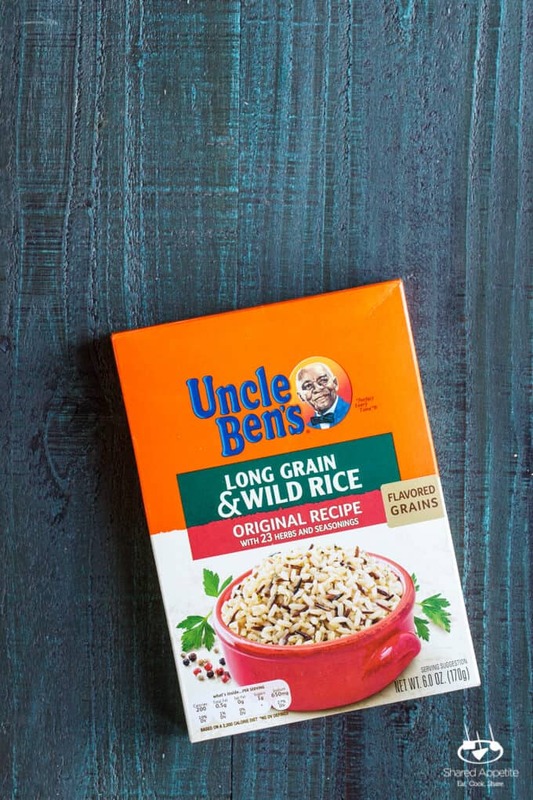 And the latest find was this UNCLE BEN’S® Long Grain & Wild Rice Original Recipe. Psst, it also comes in a Fast Cook option! 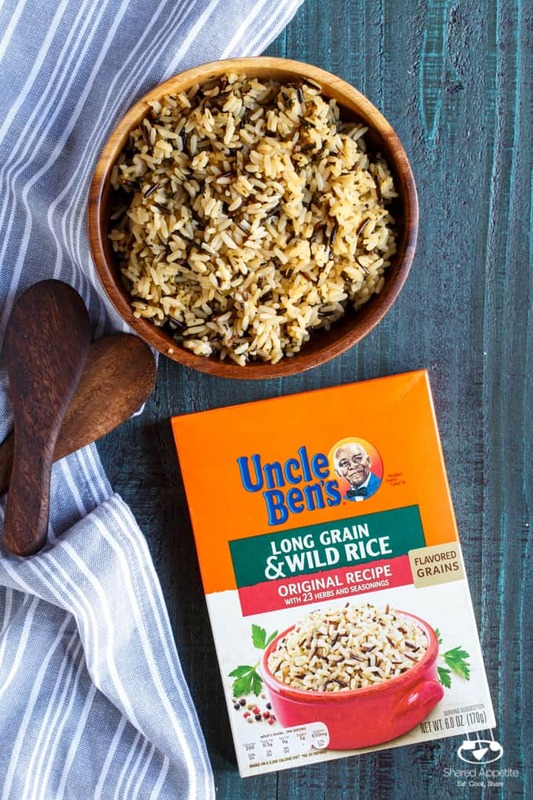 Uncle Ben’s has always been welcome in our house… they have a great variety of white, brown, long grain, and wild rice options that are a healthy and nutritious addition to the dinner table. Quite possibly even more important, they are all super easy and quick to prepare. 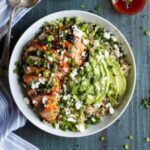 Hallelujah weeknight dinner win… especially when it’s the foundation of this Grilled Honey Sriracha Chicken Rice Bowl. So yea. Do yourself a favor. 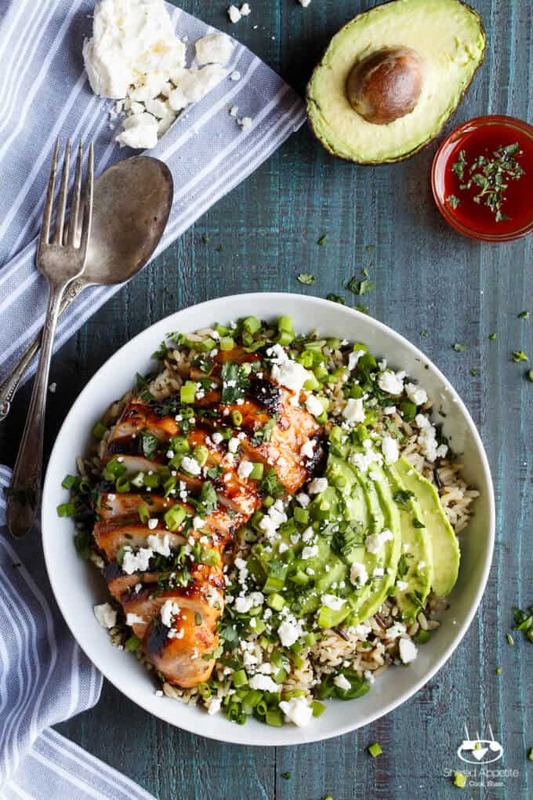 Make this Grilled Honey Sriracha Chicken Rice Bowl. For you. For your family. For a big-time weeknight dinner victory. Combine honey, olive oil, and sriracha in a small mixing bowl. Season with Kosher salt and freshly ground black pepper. Place chicken and all but ¼ cup of the marinade into a ziploc bag. Shake, jiggle, and massage the bag around gently to cover the chicken in the marinade. Let marinate in the refrigerator for at least 6 hours, preferably overnight. Refrigerate and reserve remaining ¼ cup marinade. Preheat grill over medium-high heat and grill chicken until just cooked through. Brush the reserved 1/4 cup marinade on the chicken as a glaze. Let chicken rest for 5 minutes before slicing. 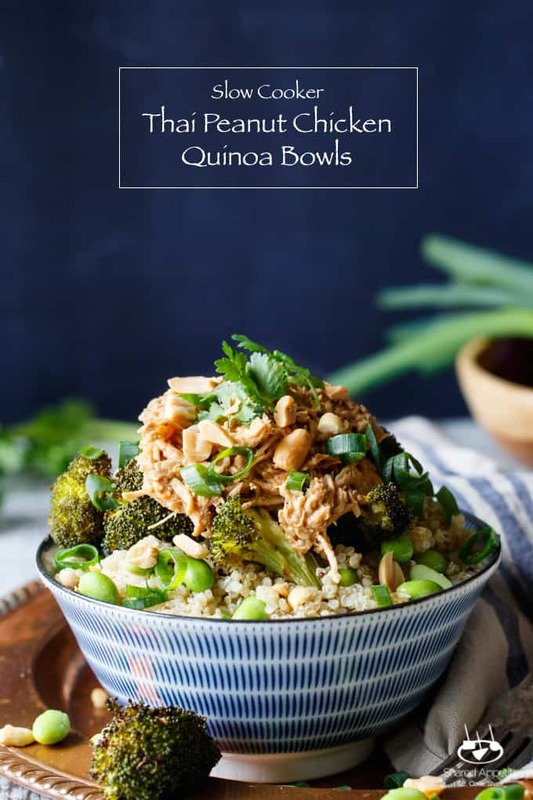 Need More Bowls In Your Life? This recipe sounds absolutely perfect for hubby and I. Everything we love, and still fits our diets! Will be trying tonight.